A REVOLUTION in the treatment of venous thromboembolism (VTE) in the past 15 years has prompted the development of the first Australasian guidelines for the diagnosis and management of the condition. The Thrombosis and Haemostasis Society of Australia and New Zealand (THANZ) have had a summary of the new guidelines published in this week’s MJA. The lifetime risk of VTE, which includes deep vein thrombosis (DVT) and pulmonary embolism (PE), is 8%, the experts reported. He said the introduction of direct oral anticoagulant therapy (also called new oral anticoagulant therapy or NOAC) had brought significant practical advantages in the treatment of VTE. Haematologist Emeritus Professor Alexander Gallus, of Flinders University, said the introduction of direct oral anticoagulant drugs had, for many patients with VTE, enabled a shift from specialist to general practice care. “While vein thrombosis used to be treated by [haematologists], it’s now mostly treated by GPs because the newer anticoagulants make that so much more possible,” Professor Gallus, who is not an author on the MJA article, told InSight+. Professor Gallus welcomed the clear diagnostic pathway described in the guidelines, and said evidence-based recommendations on the duration of treatment would help to minimise practice variation in this area. The guidelines recommend that the diagnosis of VTE be established with imaging. 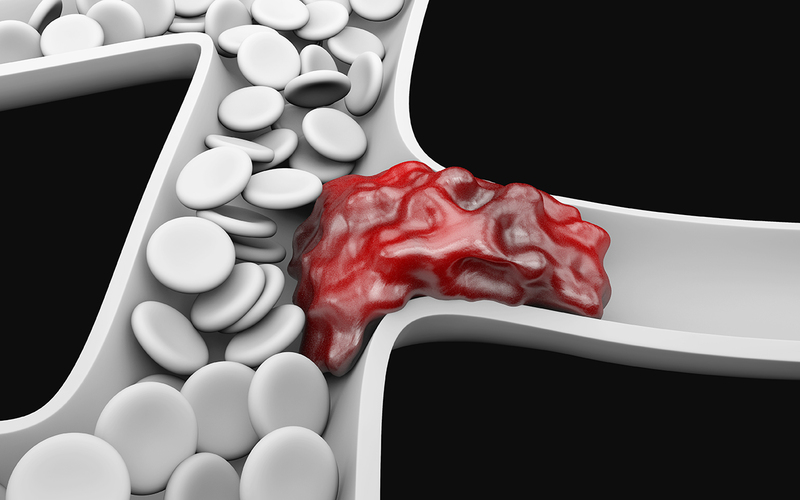 VTE could be excluded, the experts said, using clinical prediction rules combined with D-dimer testing. Recommendations for the duration of anticoagulant therapy are dependent on whether the VTE event was provoked (ie, caused by major surgery or trauma, or by a non-surgical transient factor, such as immobilisation due to an acute medical illness or long-haul travel) or unprovoked. For example, the guidelines recommend that patients who develop a proximal DVT or PE caused by major surgery or trauma that is no longer present should be treated with anticoagulant therapy for 3 months. The guidelines note that the risk of recurrence for a first VTE provoked by major surgery or trauma is 1% at one year after stopping anticoagulation therapy, and 3% at 5 years after stopping therapy. Speaking on the InSight+ podcast, Associate Professor Tran said for patients with an unprovoked VTE, the risk of recurrence was 8–10% in the first year after ceasing therapy, with a cumulative risk of 30–40% in the following 5 years. “There is a very strong case for [these patients] to remain on anticoagulation,” Associate Professor Tran said. For patients who fall in between these two categories – for example, they may have developed a VTE after a 15-minute arthroscopy – Professor Tran said there was clinical “equipoise”. The experts emphasised the importance of considering occult malignancy in patients presenting with unprovoked VTE. They reported that up to 10% of such patients were diagnosed with cancer in the year after a VTE diagnosis. Associate Professor Tran noted that 5000 people per year died from PE in Australian hospitals. In October 2018, the Australian Commission on Safety and Quality in Health Care released a clinical standard for the prevention of VTE.